It’s particularly appropriate in my new neighborhood, which is packed with hipsters and other assorted cool people. 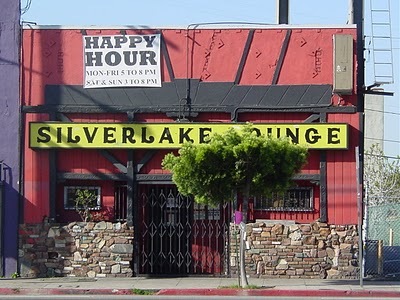 There was even a casting call earlier this year for a hipster reality TV show: The Real Hipsters of Silver Lake. Famous hipster residents of the past and present, according to the Wikimachine, include: Christina Ricci, Tom Waits, Karen O, Charlie Kaufman, Anais Nin, John C. Reilly, Crispin Glover and Elliott Smith. So, move over, Williamsburg! We’ve got serious hipster cred here. If you want to come out and explore the hipster scene with us, we can take you to these Top Ten Hipster bars. Bring your fedora! I just moved away from about 75 yards south of the bottom picture. And my writing partner wrote the linked bar guide. I have a fedora, and a mustache, and thank you for the attention. Wow! Hipster IN THE HOUSE! K-sky, I had no idea. Did you move away from the neighborhood? What made you leave? Does it make me an uber-hipster if I point out that Stinkers is no longer there? Or just obnoxious? 2: Here, PBR was replaced as the super-hipster beer about 7 years ago by, like, Coors. PBR was too drinkable? But still it’s available for $2/can in some places. 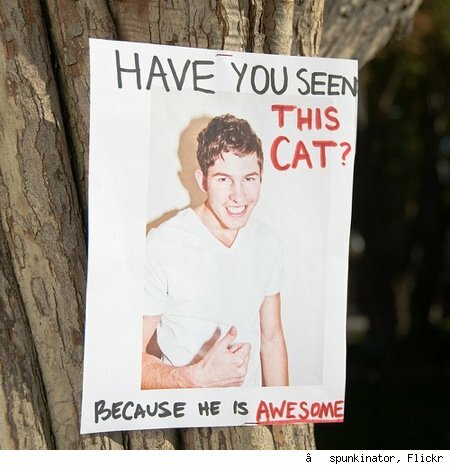 Going off at a tangent, my favorite “lost cat” poster I ever saw was in Quemado, NM where a kid had drawn a picture of a cat with “have you seen this cat” and a phone number. Awww. This cracked me up. And this time of year retail girls need to be cracked up. Thank you.